The Embassy of France put their all out for the CB Group UWI 5K race! 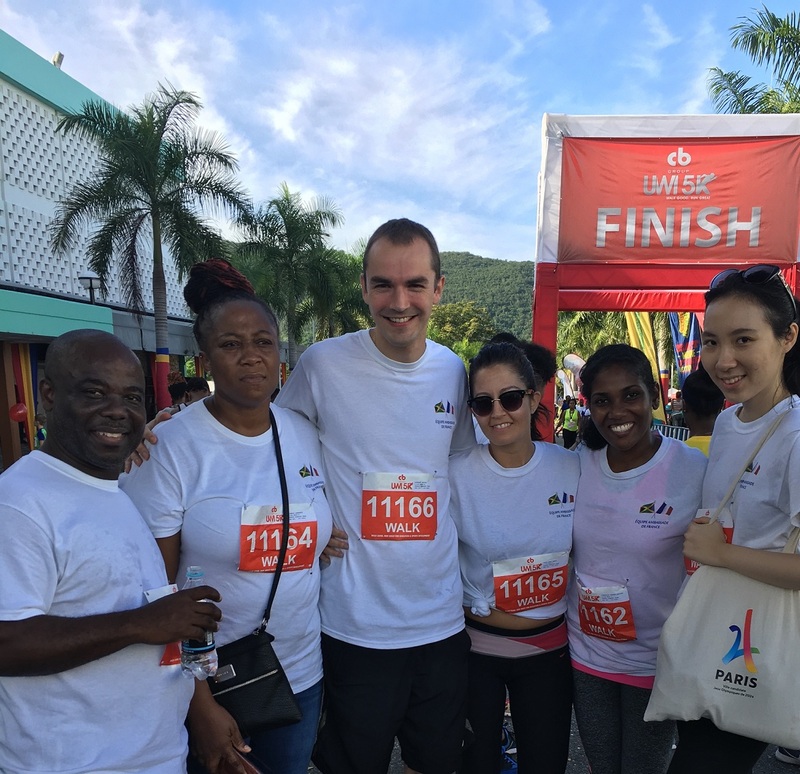 On November 12th, 2017, the “French Embassy Team” took part in the CB Group UWI 5K race for education and development of sports within the University of West Indies Campus. All proceeds from the race go towards a scholarship fund for the most talented and in-need students at Mona. In the spirit of exchange and to share experiences, the team broke no records but demonstred its sporting commitment and its good humour! The team also wore for the first time the Embassy of France’s jersey.